Voltron is the latest beloved animated property from your childhood to get a dusting off and a new coat of paint for a reboot/reimagining series. 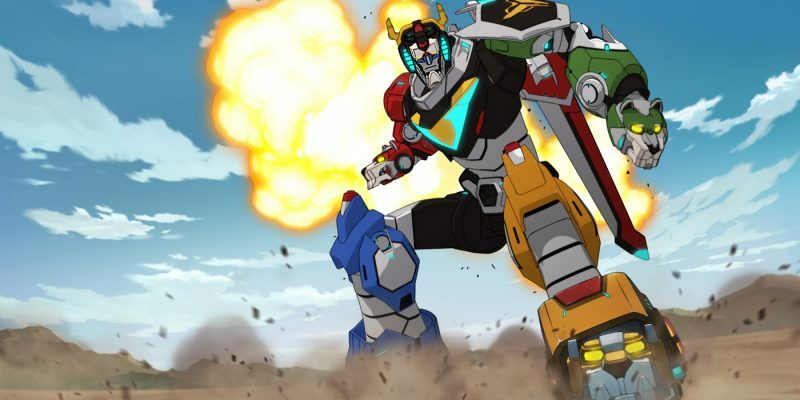 Voltron Legendary Defender is being brought to you by Netflix – the king of all binge-watching – as well as executive producer Joaquim Dos Santos (The Legend of Korra, Avatar: The Last Airbender) and co-executive producer Lauren Montgomery (The Legend of Korra). Full disclosure: When this project was announced my excitement was minimal. I had all of the Voltron lion toys as a kid (that even had their own individual pilot characters) and could awesomely be put together to form Voltron himself. But I couldn’t tell you any of the story lines from the show or much else beyond the lions and their pilots. It was really the announcement of Dos Santos and Montgomery’s involvement that piqued my interest, since the duo are so great at long-form serialized storytelling and creating unique interesting worlds. Voltron Legendary Defender gives them a fun playground to work with and after getting to see an advanced copy of the one-hour premiere, titled The Rise of Voltron, their trademark talents seem to suit the franchise quite well. The first hour consists of the characters from Earth making their way into the intergalactic conflict with Emperor Zarkon (Neil Kaplan) and his armadas. Each character has strong personalities, secrets and pasts that affect their need to search out the legendary Voltron. The episode takes its time introducing us to each of the five Lion pilots as they find their way to their destiny. The characters are all extremely likable as well as brimming with mysterious motivations that surely will be explored as the season rolls on. 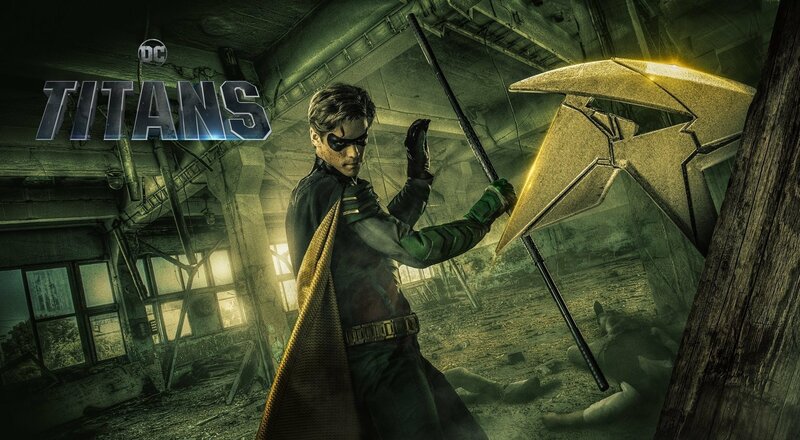 Tyler Labine (Reaper, Deadbeat) is brilliant casting as the comic relief Hunk – the Yellow Lion pilot, and Bex Taylor-Klaus (Arrow, Scream: The Series) is adorable as the brains and heart of the team – Pidge, the diminutive green lion pilot. I love Josh Keaton (Green Lantern: The Animated Series), but he isn’t given much to do in the premiere other than being a generic, heroic leader of the team as Shiro the Black Lion pilot – yet he also has a mysterious past that will surely play out this season. Steven Yeun (The Walking Dead) is given a little more character depth as Keith – the Red Lion pilot, but also seems poised for more focus going forward. The supporting cast is highlighted by Rhys Darby (What We Do in the Shadows, Flight of the Concords) sharing the comedic weight as the alien Coran – who very much seems like Voltron‘s version of a cosmic Varrick from Korra. Kimberly Brooks (Justice League: War) portrays Princess Allura, also a character in the original series, but in a more alien version this time out – also not the pink lion pilot, so don’t get your hopes up. At least, not yet. Where Voltron Legendary Defender really excels is the animation and action sequences. The team behind The Legend of Korra and Boondocks was born to do Voltron, and the show looks amazing. Everything feels big and Voltron has never looked better than this – beautiful color schemes and wondrous sci-fi designs, gorgeously animated battle scenes with highly inventive fights and destruction – and this all before Voltron gets formed for the first time. Voltron Legendary Defender does about as much as you can do with a one-hour pilot episode, with all the certain mythology restrictions applied. The show does succeed in being faithful to the original – reviving fun elements like the multi-character split screens – while not totally being tied down to that series. But therein lies the only real negative: since at its core, it is always just going to be a show about giant robots fighting. There’s noting wrong with that, but people wanting some loftier, more adult concepts might not find it here. But what they will find is a show that brings a fun updated spin on a classic that spectacularly delivers as a sci-fi action animated series. Voltron: Legendary Defender premieres June 10, exclusively on Netflix.